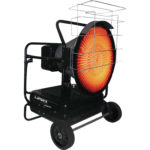 The PT125SS Radiant Space Diesel Heater produces 125,000 BTU or 37KW of heat. 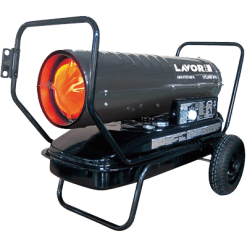 The diesel heater has a 56 litre fuel tank allowing the unit a runtime of around 17 hours. 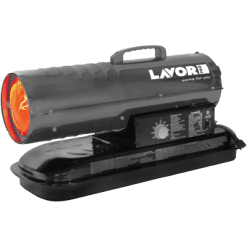 Additionally, kerosine is an alternative fuel which can be used on this heater. 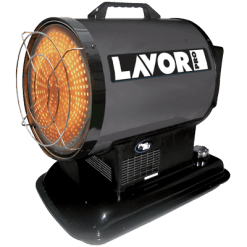 This radiant diesel heater also offers a gentle fan forced airflow. Consequently, this is a very low noise alternative to the high noise fan forced heating process. A thermostat control with a digital ambient air temperature display allows for precise control over the heat generated for this unit. 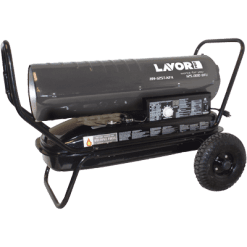 The heater weighs 38kgs while empty, but with a full tank a fuel can be quite cumbersome. 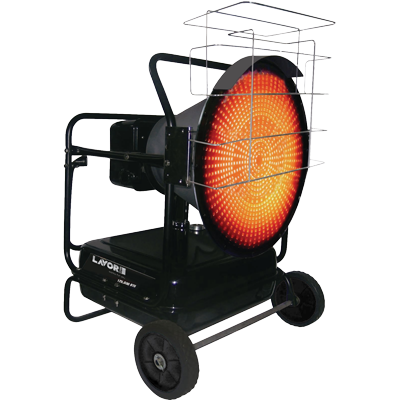 While this unit has wheels for portability, it is generally a “leave in one place” type heater.